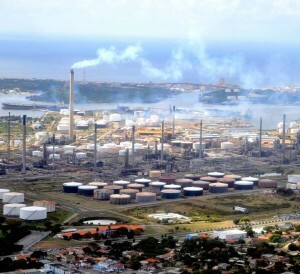 Gijsbertha states that the refinery received a notification last night from Curacao Refinery Utility (CRU), which on behalf of the Refineria di Kòrsou (RdK) operates the BOO power plant, that there were problems with the control system, so that the required pressure of 18 bar was lost and the above two systems stalled forcefully. Deputy plant manager of the power plant that provides steam, electricity and water to the refinery, Henny Barbolina, explained that a module of one of the panels of the communication control system was broken and needed to be replaced. Gijsbertha declares that because there was still a pressure of 8 bar, an overall failure of the refinery was prevented. The CD3 system enables processing of crude oil and catcracker for cracking the oil to white products such as diesel and gasoline. Barbolina also announced that the power plant is still in a start-up phase.